In Malcolm Gladwell’s book David and Goliath there is a chapter entitled Vivek Ranadivé. If you have read it you will know it as the basketball story about his daughter’s team and the full-court press tactic. The story first appeared in Gladwell’s column in The New Yorker in 2009 and it’s been the source of Ranadivé’s rise to a near celebrity status in the US. Vivek, perhaps because his name means ‘conscience’ in Hindi, is a likeable man. He also happens to be a successful founder and CEO of a global software business, Tibco, and new owner of US NBA basketball franchise, Sacramento Kings. He is clearly driven and confident, yet he is calm and softly spoken too. I would imagine if he had to fire anyone, he would do it in the nicest possible way. So when last week in San Francisco at the TIBCO Now customer conference (where Gladwell delivered a keynote) Ranadivé was questioned over his company’s current negotiations to de-list and join the growing technology stable of Vista Equity Partners, it came as no surprise that he was composed yet candid. He has fallen out of love with being a public firm and is very much looking forward to operating within a private business again. It’s an interesting stance just a few weeks after Alibaba’s biggest IPO in history but there is a useful precedent. It’s been about a year since Michael Dell took Dell private again, “going back to our roots, to the entrepreneurial spirit…” as he said at the time. Dell also talked about “unleashing the creativity and confidence that have always been the hallmarks of our culture” - something which he felt could not be achieved as a public business. This idea resonates with Ranadivé. He has a vision for Tibco where decisions can be made more quickly and there is more freedom for innovation and new thinking. “I am telling people and businesses that whatever you did in the 20th century is not really that relevant anymore, it’s a new world, a new set of people you are selling to and you have to adapt,” he says. This is “civilisation 3.0”, a term he repeats regularly, driving home the idea that he is fully aware of what is going on in the market and Tibco is making plans to help customers meet the new challenges. He is aware this idea “takes time to sink in,” but sink in it surely will, at least if he has his way. Underlying this is the notion of consumerisation of technology, greasing the runway of change and threatening the status quo of established businesses. So, as Ranadivé says, tech firms need to be able to move fast. Is it a risk? Will customers be nervous? Vista Equity Partners’ operating principal Martin Taylor was rolled out at the conference to speak, to calm any nerves but also to enthuse the crowd with carrots of opportunity. “Every company we invest in increases in size,” said Taylor. He went on to talk about how Tibco would fit into the Vista stable and how it would benefit from shared experience and support in focusing on key areas such as the Internet of Things and Big Data. He signed off by giving out his email address and asking anyone concerned to write to him directly. Nice touch. 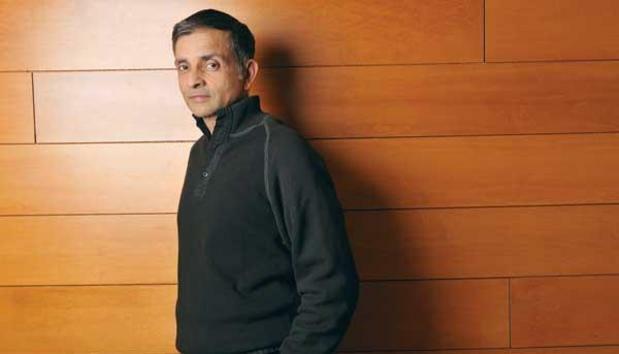 Vivek has already identified one company owned by Vista that he wants to work with and that’s Stats, the company that controls the data capture equipment for sports arenas with its SportVU product. He already uses it at the Sacramento Kings in combination with Tibco’s Spotfire data analytics. He seems excited by the idea but more importantly, invigorated at the prospect of freeing up time to be “an irritant” again, to challenge the company and develop new ideas, safe in the knowledge there is a team of people in place to run the day-to-day business. “I’m like the least smart guy from the company so I get to talk about crazy things,” he added, his mind wandering again into how being a private business will mean more freedom of expression. He cites Michael Dell too, not so much as justification but as an example of how this process can work. That’s a good point. Dell is a great evangelist. At the Dell World Conference last week Michael Dell seemed re-born. He claimed Dell is “the fastest growing large integrated IT company in the world,” and that he couldn’t be “more pleased with the positioning, progress and performance.” Of course it’s private now, so he can say what he likes. "There is a lot of turmoil in the industry and not all of it is intended to help you. You heard about some of the companies that are splitting up and slicing and dicing themselves. And you have to ask yourselves: 'Who is this really for? Is this for the customers or the partners?' No. What about the chaos and dis-synergies and complications that comes from these changes?" It’s a powerful argument. Hewlett-Packard’s split into two businesses will no doubt be protracted and time consuming and could have been made worse if its proposed merger with EMC had gone through too. As enterprise mergers go it would have been challenging, not least because of overlapping services and the inevitable integration issues. Maybe due to its behemoth status, HP is if nothing else, difficult to understand, difficult to pigeonhole. Its acquisition of Autonomy is an example of that and perhaps one reason why the EMC deal didn’t happen. But could a company like HP really go private? Isn’t it just too big and influential? Doesn’t it need that public accountability? If companies such as Dell and Tibco grow to the extent they expect to grow in the next few years, no doubt questions of flotation will arise again. Vista is currently talking about offloading Misys through a float and could do the same with Tibco eventually. Until then Ranadivé at least seems to want to enjoy the moment. The cloud of public responsibility lifting, he is throwing his head into another cloud, a fast-data one that he thinks will drive everything from mobile retail through to the IoT. It’s no slam dunk but it’s no long shot either. He’s a tactician and for that reason alone you’d want to back him, but for the foreseeable future, you won’t be able to… at least financially.